One of my favorite phones of the year that few have probably entertained is on-sale at Verizon for just $10 per month at the moment. 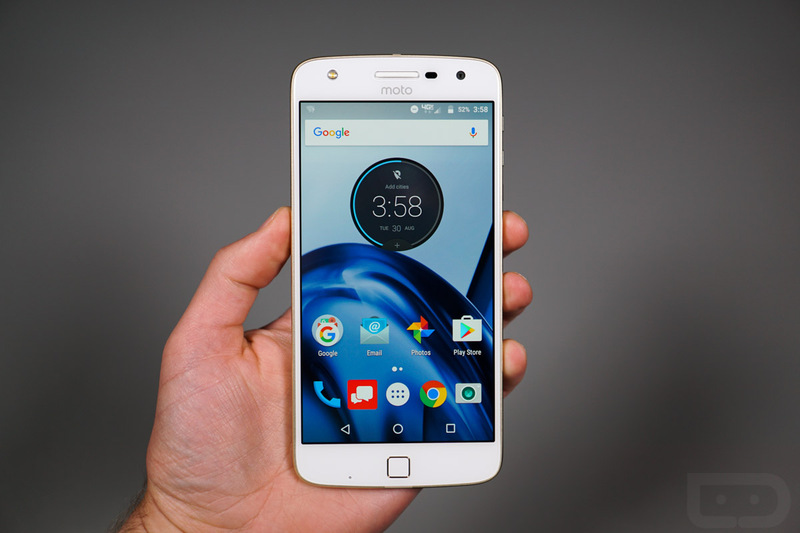 I’m talking about the Moto Z Play, arguably the best of the Moto Z family. This mid-range Moto Z model was originally priced at $17 per month or $408 if bought out-right. Today, the price is $10 per month, which brings the 24-month total to just $240. 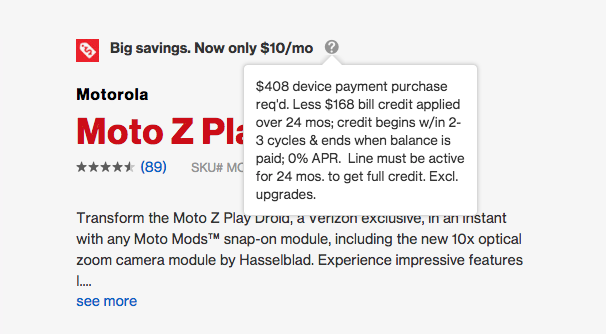 Verizon isn’t selling it at $240 without a contract, though, but if you do sign-up for a device payment plan while buying the Moto Z Play, you are getting one of the better phone deals I’ve ever seen. What’s so great about the Moto Z Play? A lot, actually. Outside of the 5.5-inch 1080p AMOLED display, 3GB RAM, 32GB storage (with SD slot), 16MP camera, Snapdragon 625 processor, “pure” Android experience, and access to Motorola’s Moto Mods line-up, this phone sports the best battery life of any phone ever. Seriously, ever and it’s not even close. During my testing, this phone’s 3510mAh battery would last two days and I was almost always getting 8 hours of screen on time. I’ve just never seen anything quite like it. Oh, it also has Turbo Charging. For a mid-range phone, especially at $240, this is an easy recommendation. NOTE: According to Verizon’s site, the $10 per month price is because they are handing out $7 bill credits each month to make up the difference between $17 per month and $10. UPDATE: The fine print is now making this deal seem much less appealing and accessible. As you can see in this screenshot, the deal may only be for new customers or new lines and not upgrades. Meh.